Ethnography centers on the culture of everyday life. So it is ironic that most scholars who do research on the intimate experiences of ordinary people write their books in a style that those people cannot understand. In recent years, the ethnographic method has spread from its original home in cultural anthropology to fields such as sociology, marketing, media studies, law, criminology, education, cultural studies, history, geography, and political science. Yet, while more and more students and practitioners are learning how to write ethnographies, there is little or no training on how to write ethnographies well. From Notes to Narrative picks up where methodological training leaves off. 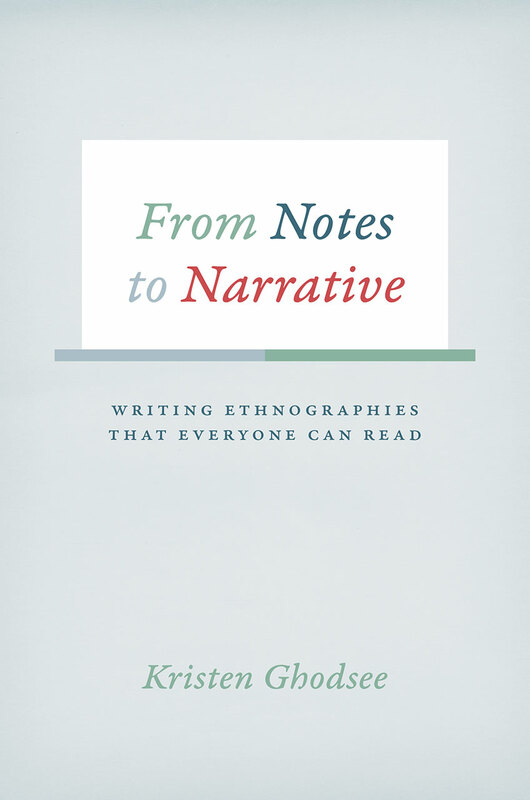 Kristen Ghodsee, an award-winning ethnographer, addresses common issues that arise in ethnographic writing. Ghodsee works through sentence-level details, such as word choice and structure. She also tackles bigger-picture elements, such as how to incorporate theory and ethnographic details, how to effectively deploy dialogue, and how to avoid distracting elements such as long block quotations and in-text citations. She includes excerpts and examples from model ethnographies. The book concludes with a bibliography of other useful writing guides and nearly one hundred examples of eminently readable ethnographic books. "Ethnography lives and dies in its writing. Wide-eyed graduate students and field-wary scholars alike will find useful tips in From Notes to Narrative. There are valuable strategies within these pages, for every stage of the process, and sparkling examples all along the way."